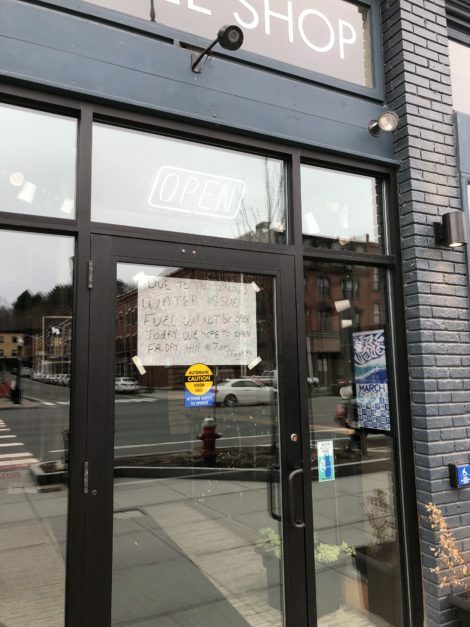 Fuel, the popular coffee shop and cafe on Main Street in Great Barrington, was closed Thursday (April 11) as a result of the water boil order. Great Barrington — A boil order from the state affecting the water utility serving most of Great Barrington has been lifted after only 24 hours. The order came yesterday after testing by the state Department of Environmental Protection on source water samples taken on Tuesday had revealed signs of the E. coli bacteria. The order prompted widespread concern among town residents served by the Great Barrington Fire District, which provides drinking water to most of the town, with the exception of those with private wells or residents of the Housatonic section of town, which is served by a small private water company. “We don’t believe there was ever really a risk to anybody,” Peter Marks, the fire district superintendent, said in an Edge interview. 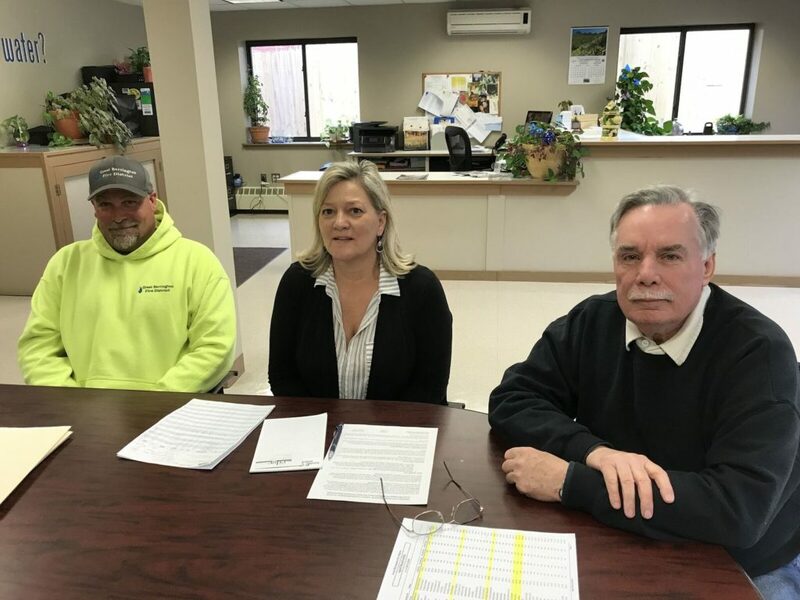 Yesterday, after the boil order was imposed, nine more samples were collected from the Green River pumping station, where the sample was taken that originally prompted the order. None of them tested positive for E. coli. For good measure, fire district officials surveyed the area around the well head and a DEP official walked the grounds near the pumping station with Marks this morning. The state order caused something of a panic, with erroneous reports on social media of an “E. coli outbreak.” Reports also indicated that there was a run on bottled water at both the Big Y and Price Chopper supermarkets. Many commenters on Facebook noted the irony that almost a year ago, the town enacted a bylaw that banned the sale of single-use bottles of drinking water of 1 liter or less. The boil ban caused some eateries to close. Fuel, the popular coffee house and bistro was closed Thursday, but Rubi’s cafe remained open. “We’re not afraid of dirty water,” a barista quipped. “The language the state makes us use can come across as kind of harsh,” Marks explained. Turns out there was nothing wrong with the water at all. The notice was merely the result of a technical issue involving licensing that was brought about by a change in state regulations—yet another example of alarming “language” required by the commonwealth of Massachusetts. 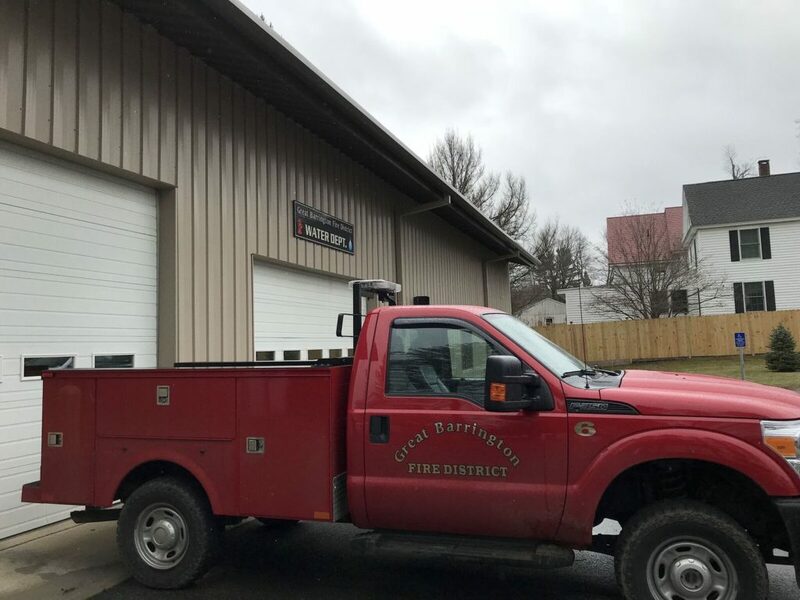 The Great Barrington Fire District is not technically a town water department. It is a quasi-public utility with its own board of directors (known as the Prudential Committee). The fire district system provides water to almost 1,700 customers and serves a population of 4,100 people. It also supplies water to approximately 300 fire hydrants and 53 sprinkler systems. According to Prudential Committee Chairman Walter F. “Buddy” Atwood III, after a winter hiatus, the fire district is about to resume work on an almost $2 million water main replacement project that stretches from Main Street at Saint James Place south to Maple Avenue (routes 23 and 41) and on to the Green River bridge, where the district maintains wells, filtration beds and a pumping station. Will and Robin are to be commended for their reaction to a posted public health threat. Until the results of subsequent testing were verified, they decided to put the safety of their customers ahead of profits. Hopefully the customers of Fuel will recognize this and make today “double tip” day for the servers who lost income, while the owners acted responsibly for the public good. “We’re not afraid of dirty water. ” Really? You should be. She was making a joke.